Mathematics for Multimedia explains the mathematics behind multimedia applications such as compression, signal processing, and image/video processing. This timely and thoroughly modern text is a rigorous survey of selected results from algebra and analysis, requiring only undergraduate math skills. More specifically, it focuses on when and why modern robust methods provide more accurate results. The topics are 'gems' chosen for their usefulness in understanding and creating application software for multimedia signal processing and communication. The course Mathematics for Multimedia has been offered biennially at Washington University since 1997. It has proved popular with students from sophomores to beginning graduate students who seek an innovative course of rigorous contemporary mathematics with practical applications. For the instructor, the material is divided into six chapters that may be presented in six lecture hours each. Thus, the entire text may be covered in one semester, with time left for examinations and student projects. For the student, there are more than 100 exercises with complete solutions, and numerous example programs in Standard C. Each chapter ends with suggestions for further reading. The book also describes and illustrates easy-to-use software for applying cutting-edge techniques. 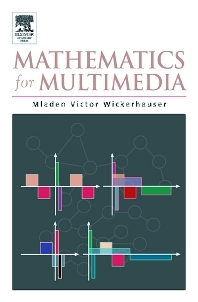 This book is aimed at a wide audience, including computer science and multimedia students and professors as well as those interested in employing mathematics in multimedia design and implementation.